When planning efforts of any-size or type…using the “right” words for titles affects a project’s perceived responsibilities. Uses the expansive term ‘Effort,’ which includes narrower terms, such as: Project, New Product Development, Strategy Development, Event/Training Planning, etc. Uses the expansive term ‘Solution,’ which includes narrower terms, such as: Deliverable, Product, Result, Outcome, etc. A key aspect of POP’s use of Planning System Dynamics is the concept of “equilibrium.” Although you probably have a sound understanding of its meaning, you might be surprise to learn that “equilibrium” doesn’t mean what many people think it does. Equilibrium does not mean ‘static.’ Equilibrium means there are opposing forces which cancel each other out. A key to POP’s success “Designing Success In” is to make sure that three perspectives (“Three Designs,” below)— representing six opposing forces—are in equilibrium…with each perspective zealously advocated by one, and only one, stakeowner. The single advocate for the Value Design is the “Economic Stakeowner” whose responsibility is to balance investment and return. A too-frequent, yet least qualified person, to fulfill this responsibility is the Effort [Project] Manager. Why? Because if they had the ability to make such determinations…they would be an executive—not a project manager. The single advocate for the Solution Design is the Solution Architect. Why have a “Solution Architect?” Being good at one thing does not extend to all things. A good project manager isn’t necessarily (and, most likely does not have schedule capacity to be…) a functional expert (e.g., business process; product development). 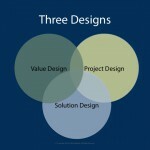 The single advocate for the Effort [Project} Design is the Effort [Project] Manager. Lurking in the shadows of the sub-text of the term “Stakeholder” is the implication of temporary possession. Temporary possession is an ephemeral quality that can change in a moment and without notice. The temporary nature of possession leads to preventable problems. For you see, a temporary “holder” can relinquish their grip…pass the baton…throw the hot potato. This possibility leads to impaired clarity, ambiguity, equivocality…and—a condition that rarely works to an effort’s advantage—latency. 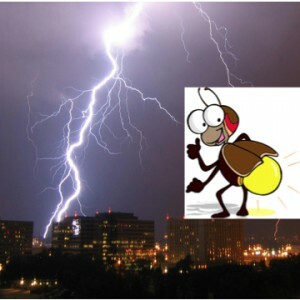 The term “stakeholder” (the lightning bug of this analogy) implies a degree of involvement…a degree which is less than 100%. Being a ‘stakeholder’ does not carry with it responsibility for the outcome. It implies an interest, or expectation, of an outcome. Whereas, an “owner” (lightning)— for good or bad — retains responsibility. An owner’s degree of responsibility is clear, unambiguous and unequivocal. An owner of an effort carries the responsibility to ensure the implications of the uncountable number of arbitrary choices are understood. To ensure success, an owner must also see to it that adequate investments & resources are obtained. And, an owner is responsible to ensure the envisioned valuable outcomes are delivered to the organization. Effort [Project] Manager and their non-transferrable responsibility for the Effort’s Design and execution. 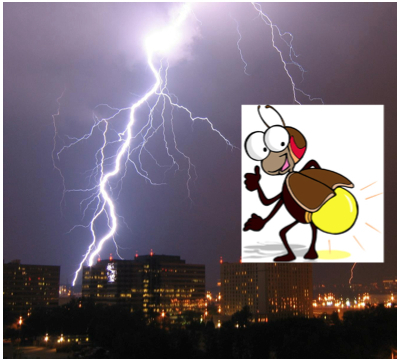 Are your efforts “owned” by lightning…or “held” by lightning bugs? Does the “temporary possession” of a “stakeholder” result in lack-of-clarity, ambiguity or equivocation? How about the degree of equilibrium between the Three Designs? Why do some efforts succeed against all odds while others—seemingly simple—fail miserably? The quality of execution cannot exceed the quality of the planning…just as the quality of the planning cannot exceed the quality of the thinking that went into it. In the next post…you’ll gain insights into simple, easy ways to use POP’s New Way of Thinking About Planning, Plans & Effort Execution for your advantage and enhanced professional attainment. Lightning can power all your efforts! Get the book and learn more about gaining clarity and effectively aligning key responsibilities in your efforts. If you found value in this post, please “share” it on LinkedIn and Google+ by clicking the buttons below. If you didn’t like it…please let me know. Thank you.